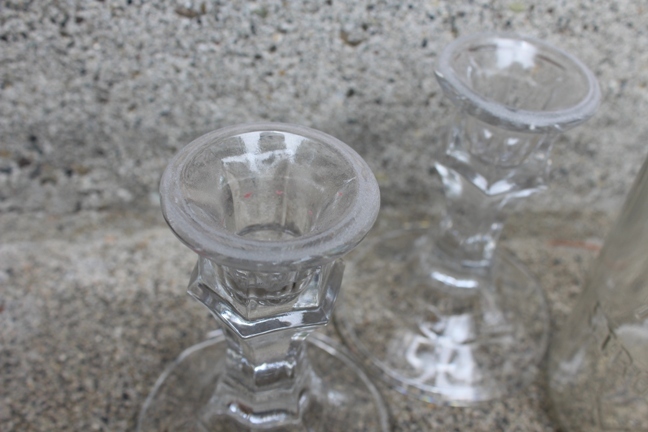 I’m sure you’ve seen them around, the envy of every party; unique stemware coveted by the uber-classy, and the uber-redneck. 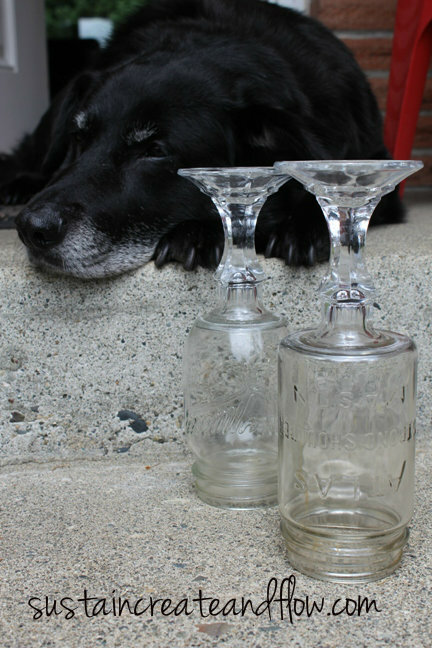 Aside from my shameless love of wine, I think the runner-up recipient of my shameless love would definitely be mason jars! Combine the two and I’m in hog heaven! (Hog heaven? Ya… I dunno, but it sounds like a fun place). Although my love runs deep for all things mason, these little beauties retail for $10-15, (Amazon has a lower price), which I find HARD to pony up the cash for considering how ridiculously cheap and easy to make these are. However, my hat is off to the genius who invented these. 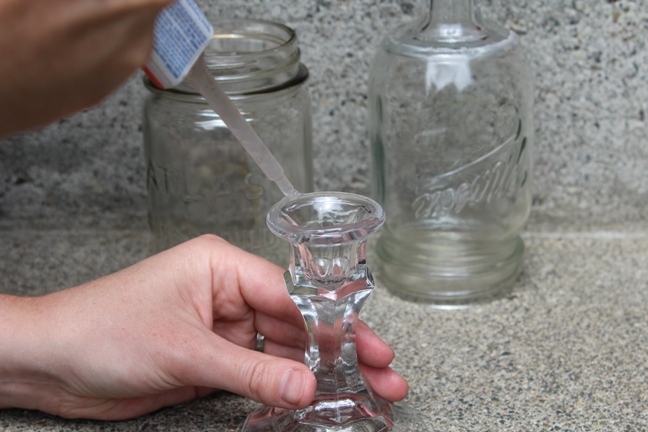 First, take your emery cloth or sand paper and rough up the surface of the candlestick and of the bottom of the glass. 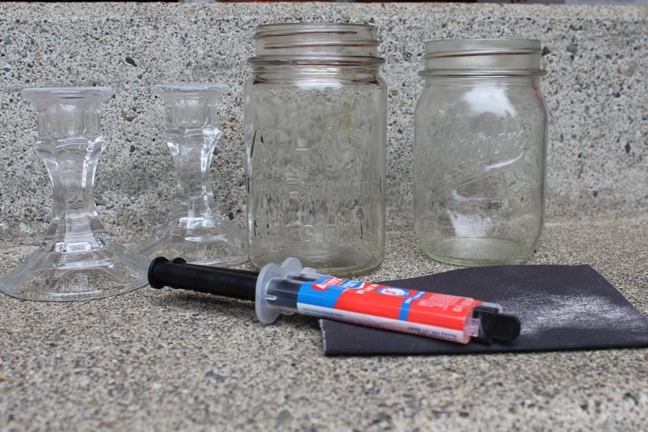 You’re doing this to create tiny fissures that the epoxy can seep into making it adhere better. Leave the “wine glasses” overturned to cure according to package directions. I then allowed it to further set up overnight before use. If you hurry, you might be able to pull these off before the holiday parties this weekend. All of your friends will be jealous 😉 If you aren’t much of a boozer, these would still be great on your party table holding hummus, ranch dip, or nuts, etc. There are many creative ways to decorate with these. I was thinking they’d be cute in my bathroom, holding cotton balls, q-tips and the like. What ways would you use these? Share it with us in the comments below! 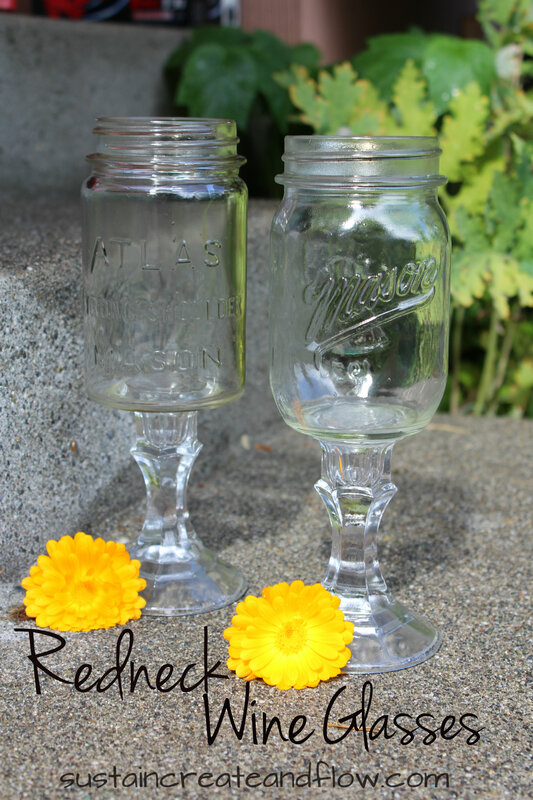 I am partnering with Scatter Creek Winery, in Tenino, WA and will have these “Redneck” wine glasses available for you to purchase! If you are ever in the area, Scatter Creek is a not-to-be-missed small, boutique winery located in the quaint little country town of Tenino. (Home of the first “Meeker Marker“). You can SUBSCRIBE to Sustain, Create and Flow via feedburner by using the form below. Don’t forget to activate your subscription once you receive the welcome email. I can’t wait to make some of these. Very fun! I’m looking for suggestions for different ways to use the wine glasses , any ideas ? I definitely love my wine but I like different & unique ideas . I have made them and they are great but they cannot sit in dishwater. Wash them quickly.